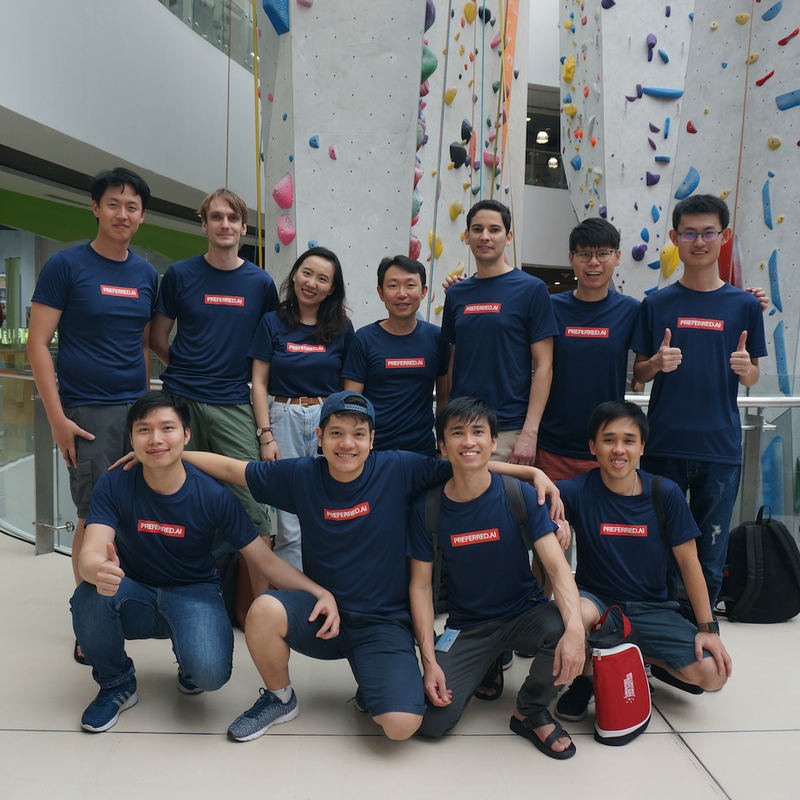 To begin the year 2019 on a high note, Preferred.AI went on a group outing to Climb Central, an indoor rock climbing gym at Kallang Wave Mall. With the exception of a few, this was a new experience to many of us. 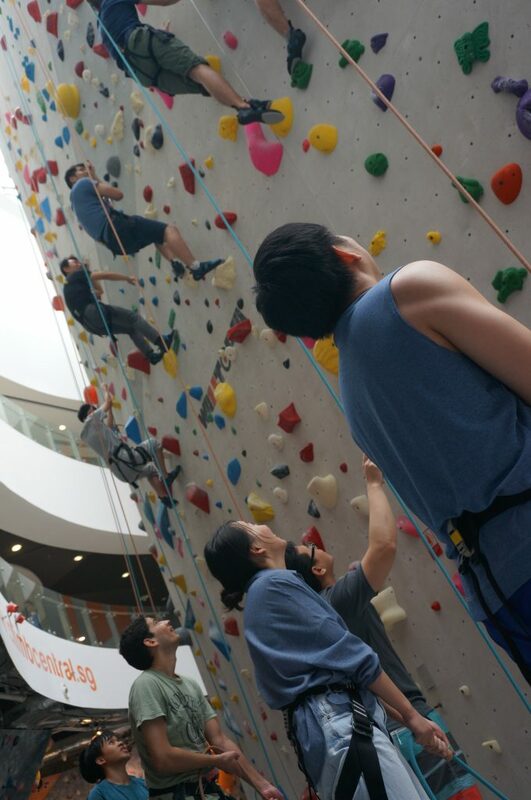 Nevertheless, no one was daunted, and we were all up for the vertical challenge. The first station was the auto belay, whereby as we went up the rope would adjust automatically, and letting go would let us come down safely on our own. We had the opportunity of going up a few times before playing a team game of recovering clues from specific locations. 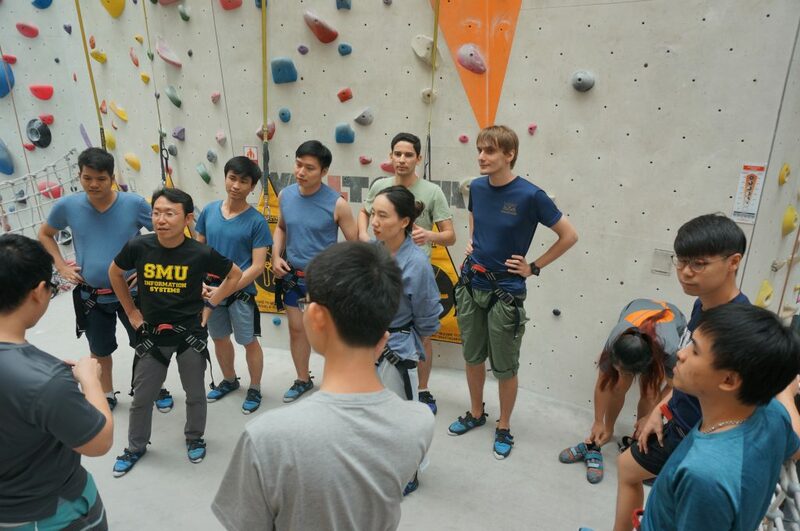 It was a pleasant surprise to discover that climbing could be such a social activity. At the second station, we worked with a belayer who would pull the rope as we climbed up, and slowly let go as we came down. This time, the wall was quite a bit higher. 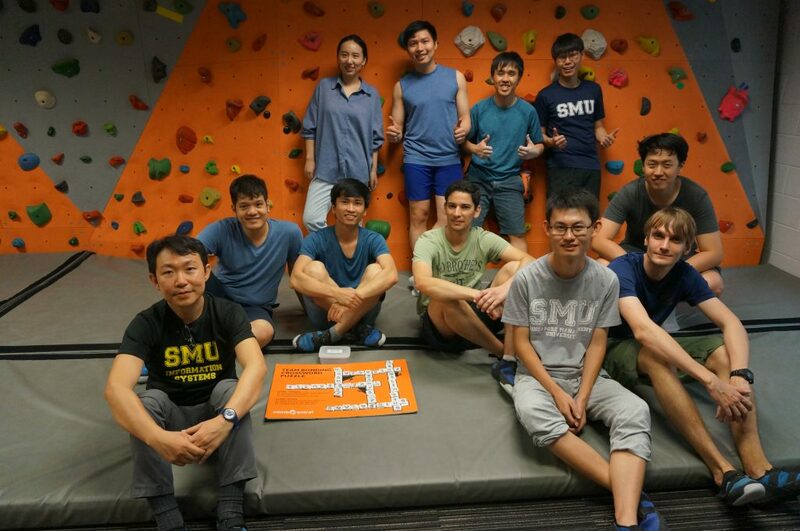 The final station was bouldering. Who knew that ‘climbing’ sideways could be more challenging than climbing vertically. But that’s enough ‘hill’ for the day. With arms sore and fingers numb, the only activity we had energy for was eating. We capped off the outing with a dinner at Aji-Ichi. 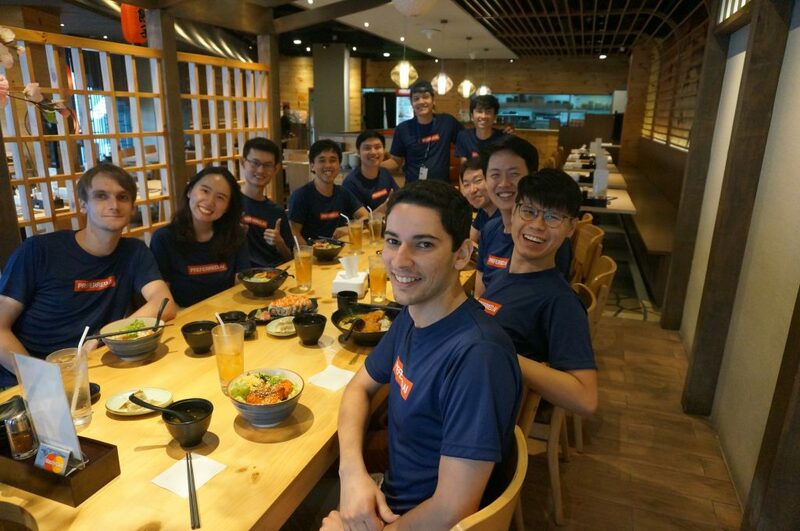 Clockwise from left: Max, Jingyao, Zhang Ce, Tuan Truong, Andrew, Tony, Hoang, Hady, Chong Cher, Ween, Aghiles. 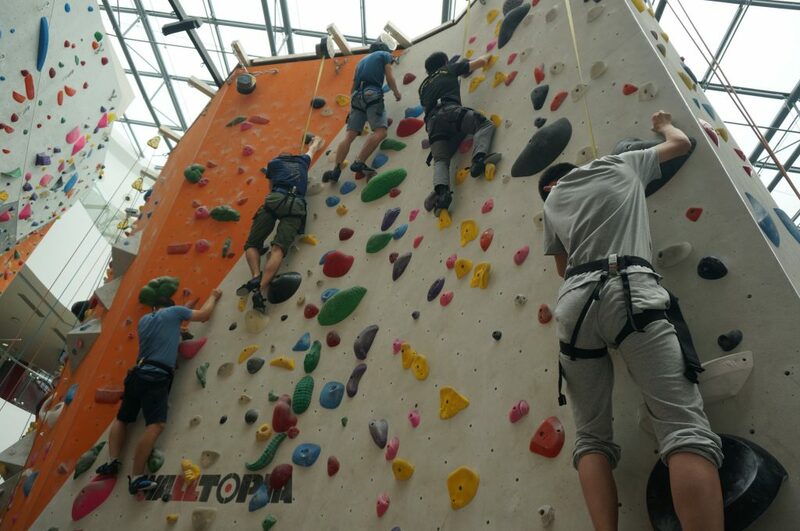 A team that climbs together, achieves together. Eats together, stays together.